What happens when you take a crew of daredevils that are willing to do just about anything and film themselves doing it? You get the hit television show and later feature film Jackass! What do you get when you do it all again? 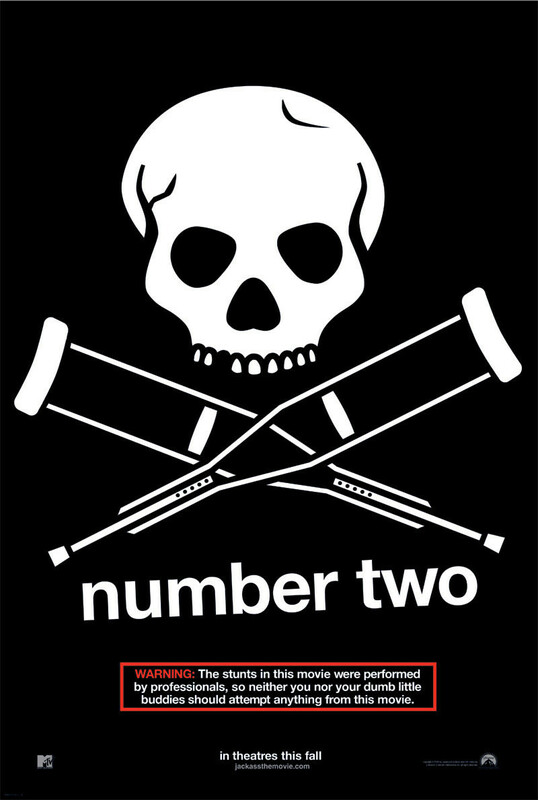 Jackass Number Two! Johnny Knoxville and his posse are back at it with no shame whatsoever! More insane laughter, jaw dropping amazement and moments of wanting to throw-up are all in store in this insane sequel to the franchise that has absolutely no reservations about anything at all!